The concept for this book grew while I was commuting between Sydney and the NSW Central Coast, camera and journal close at hand. 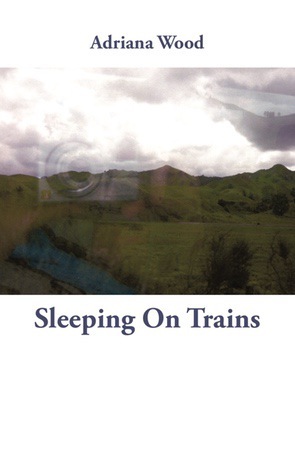 Misty reflections and images of the countryside, as in the cover photo, are like dream images in the labyrinthine mind, in half sleep, stirred by the motion of train or coach. This concept was intensified by a long train journey in New Zealand, in 2011, expressed in the poem ‘Memories of the Waikato, NZ’, when I retraced a journey and rewrote a poem from when I was a student at Waikato University, NZ. Now I live in Australia, on the NSW Central Coast. I returned to study, graduating with a BA from GU, Queensland, in 2005. I have travelled in the UK, Spain, Italy, Canada, India, USA and the Caribbean, among other locations. My day job has predominantly been in roles assisting the unemployed and residents of public housing. I have worked in the lonely tower of a super-rich magazine company, selling subscriptions, but this ran contrary to my visions as a writer. I have remained a wanderer and writer at heart, camera and journal at hand along the way.